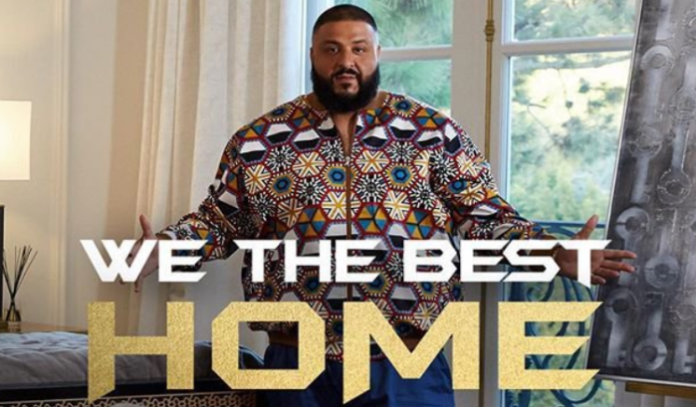 Just when you thought DJ Khaled couldn’t get something else on his growing resume, he decided to add another one; furniture designer. The 42-year-old music producer teamed up wit Golition to launch a luxury furniture line, We The Best Home. It includes everything from couches, tables, lion statues, a throne and even more outrageous pieces. The pieces vary in style, ranging from regal and royal with massive gold accents and formal designs to modern and chic styles full of neutral colors and suede patterns. See below for a few pictures the collaborators released together. And in true DJ Khaled fashion, he reminded us that he had full involvement on the process to ensure you can be just like him (because he’s just great) too, and that buying from this collection is a major key. While I don’t necessarily agree with everything he says or does, or how praised he is (primarily by himself), I do agree with the importance of our homes, because it is where we make our memories, spend time together as a family and create fantastic life lessons who scope us into great people. So if you want to make your home feel like your sanctuary where you are 100% comfortable, you do need to decorate it how you feel fits you the best. All in all I am impressed by the designs and the different types of furniture he’s included in his collection. It’s a very diverse line so your bound to find something you’ll like. In terms of how pricey they are, we’re still waiting on that information to be leaked, but we can always add a picture to our Pinterest boards. The first store to sell the collection made it’s official launch on August 30th in Miami, with more stores following soon. The furniture line is manufactured and distributed by Global Furniture USA and is expected to sell internationally over the next few months. You can see his collection HERE. If you want a teaser of his collection, check out the flagship piece of his collection, it’s safe to say it is VERY DJ Khaled.